We cannot stress this point enough. Generally speaking, the average business person gets more than 50 emails a day. So, why then, does anyone think an email is going to have enough of an impact to change someone’s behavior? We are pretty sure that no one will change what they are currently doing solely because an email has gone out saying they should. One of the biggest problems in communication is actually one of the easiest to solve. Communication is often “top down”, meaning it is written from the point of view of the senior manager writing the communication rather than the point of view of the recipients. The over-riding rationale is that once everyone reads the message, they will understand why the change is happening, they will be on-board and resistance will be non-existent. We have four words for this… Not. Going. To. Happen. Each Target group needs to be considered differently. What is, and what is not changing for that group? What kind of language and examples will resonate for that group? What's the "Frame of Reference" for those Targets? All communication must address the two most important questions from a Target’s point of view: “What’s in it for me?” and “What does it mean to me?” And needless to say, different Target groups will have different answers to those questions! Every communication that goes out must have a way for information and feedback to come back in. In other words, communications must be "cyclical" and "iterative." Feedback loops are crucial in order to allow Targets to express their thoughts and feelings. And, it’s a perfect way for Change Agents to gather information about any potential sources of resistance to the change. Evaluate your communications to ensure they are achieving your goals. Test the effectiveness of your communications for both content and process. Building a communication plan during any change initiative is not only important, it is imperative. 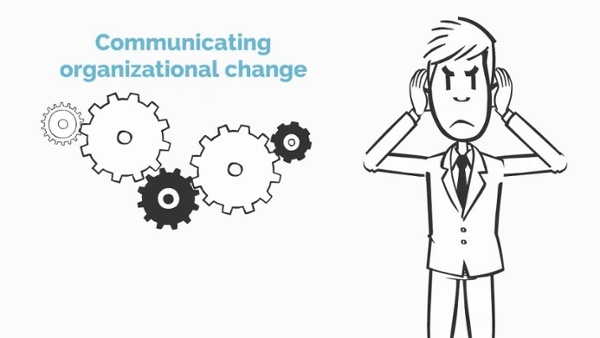 But, remember… a communication plan is not the same thing as a change management plan. Yes, communication is an important area to plan for, but it needs to be linked with the other elements of the AIM Change Management approach including Securing Sponsorship, Building Readiness, Designing Reinforcements and Creating a Cultural Fit. So, now that you’ve read our communication best practices we’d like to hear how you are communicating during your change. Is it effective? Or are you destined to hear the dreaded, “we need to communicate better” feedback too?